The football is placed so that the laces are face up. Grip the ball by placing your right thumb between the second and third lace nearest the front end of the ball. 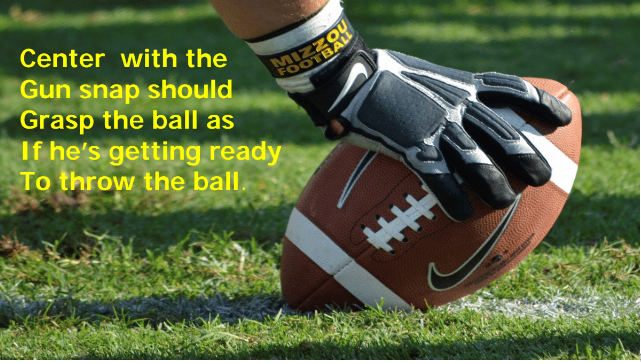 The fingers and palm of the hand will grip the ball on the side so as to have complete control of the ball. The arm should be extended with your wrist straight. Snap the ball by turning the wrist one-quarter turn without bending your elbows. This should be one quick movement and is a lifting action. Slap the ball against the quarterbacks hand. The quarterback will take the ball from you–Never throw the ball to the quarterback. Snapping and stepping with the proper foot should be one continuous movement. The Center must be the quarterback for the offensive line. The center is responsible for making calls recognizing defensive fronts and alerting the rest of the offensive line to all changes. The center must make calls loud and clear. 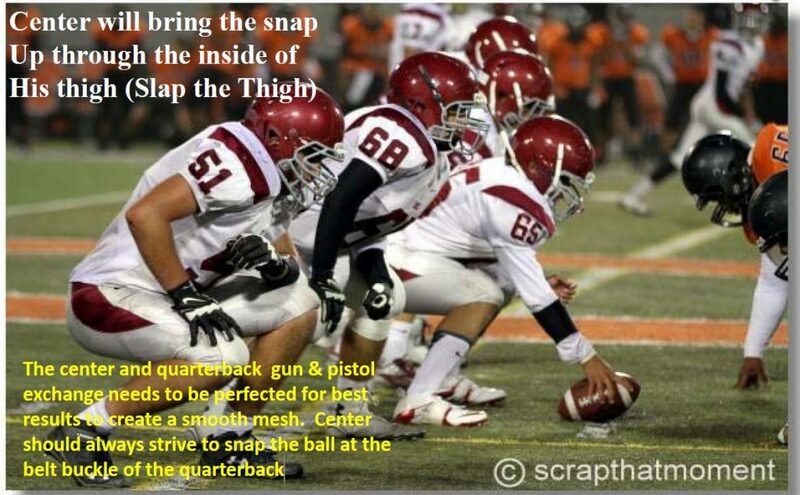 Effecting the Snap-The center on all gun snaps must first visualize snapping the ball to the belt buckle of the center for best results. Before the ball is snapped the center will look back through his legs for an alert from the quarter back that he is ready to receive the snap. The quarterback will alert the center that he is ready to start his cadence by raising one of his legs. Once the quarterback raises his leg to let the center know he is ready t0 star this cadence the center should the ndrophist ail by bringing his head up which will slightly drop his tail. 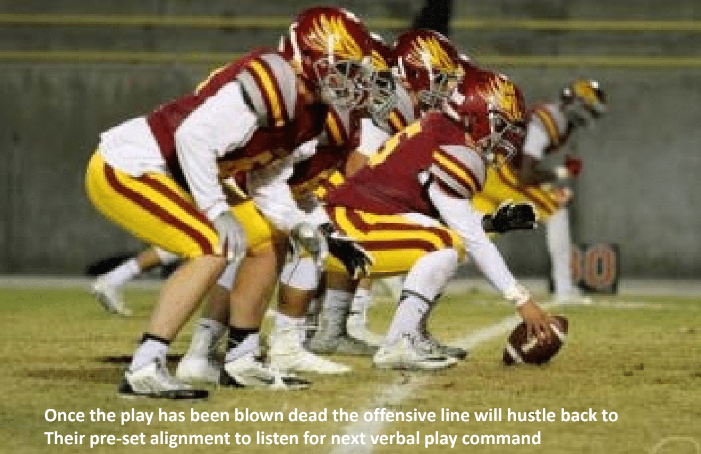 The snap is a blind snap that’s why the center must visualize snapping the ball at the quarterback’s beltbuckle. 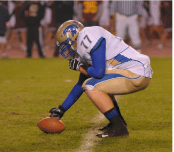 If the center doesn’t drop his but tbe low parallel with his shoulders square,the ball tends to rise with the possibility of the ball being snapped over the quarterback’s head.